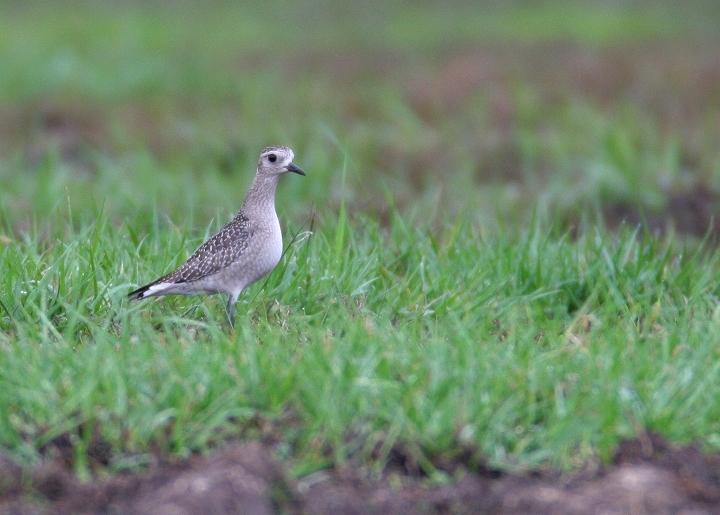 Below: An American Golden-Plover in Worcester Co., Maryland (10/1/2006). 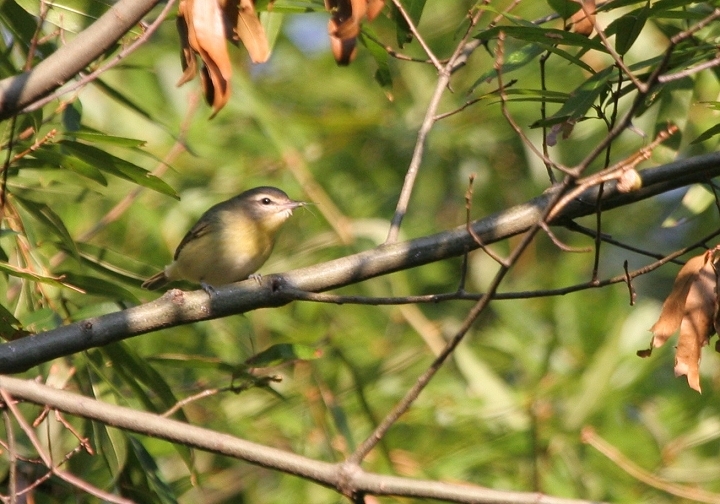 Below: A Philadelphia Vireo in Dorchester Co., Maryland (9/30/2006). 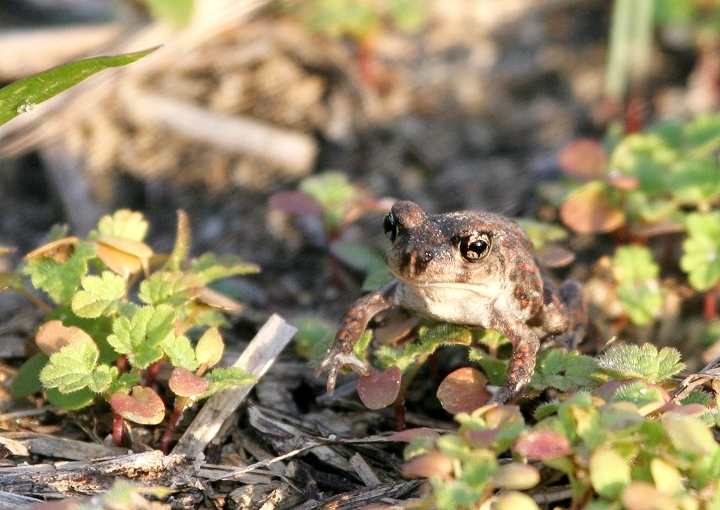 Below two: A young Spadefoot Toad in Caroline Co., Maryland (9/30/2006). 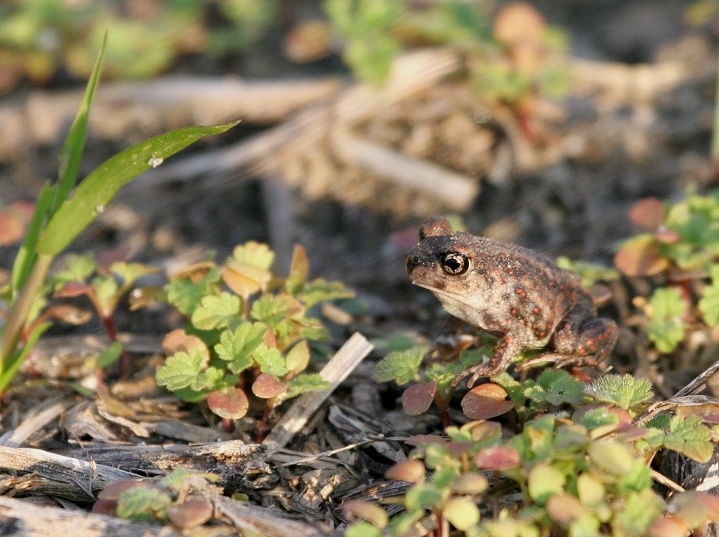 Below: An Eastern Ribbon Snake in lower Dorchester Co., Maryland (9/30/2006). 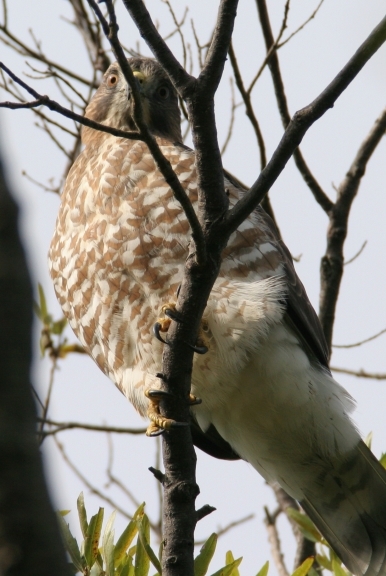 Note the snake's narrow head and especially the white area in front of the eye. 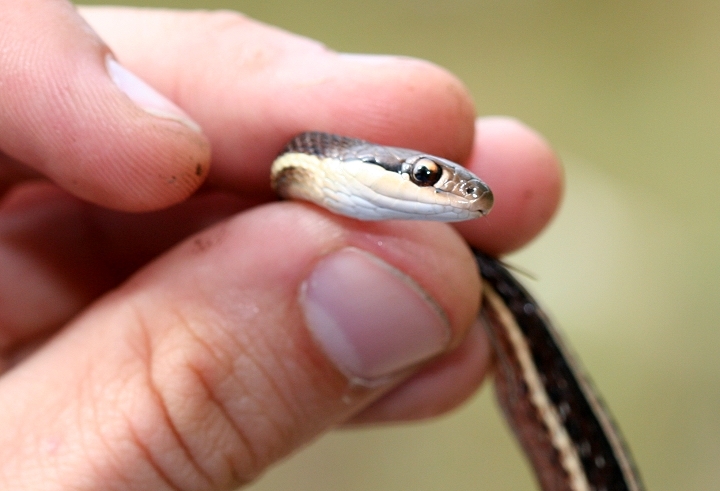 Ribbon Snakes also have thinner bodies, longer tails (1/3 vice 1/4 or less of body length), and a slightly different stripe pattern. 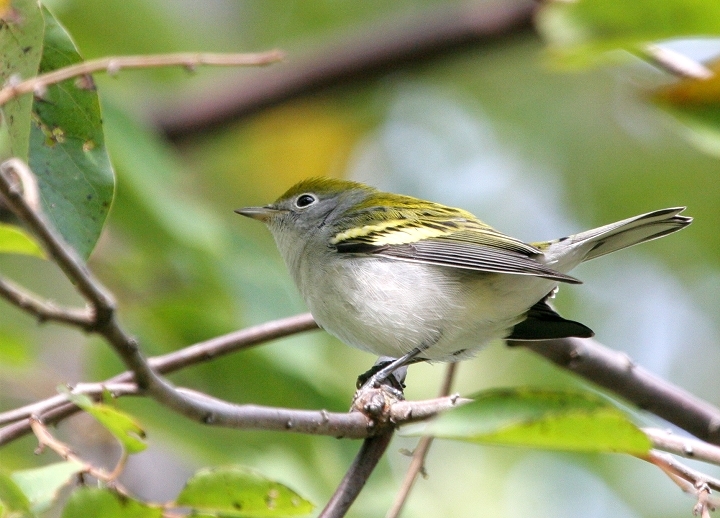 Below: An immature Chestnut-sided Warbler in Dorchester Co., Maryland (9/30/2006). 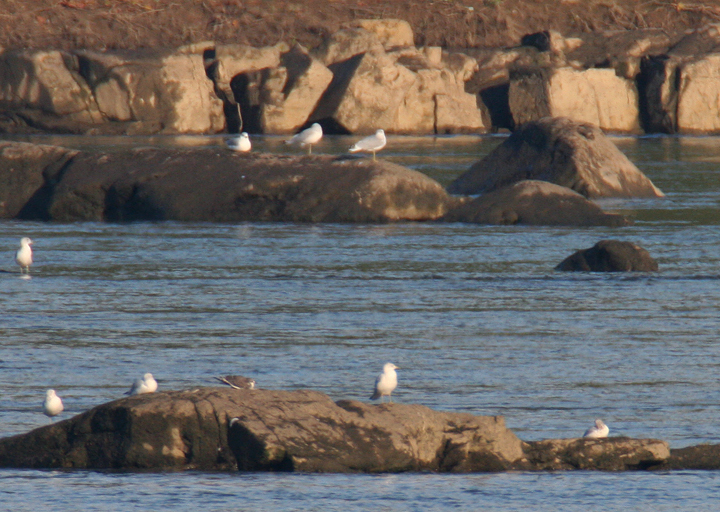 Below: Small Saltmarsh Aster (Aster subulatus) in lower Dorchester Co., Maryland (9/30/2006). 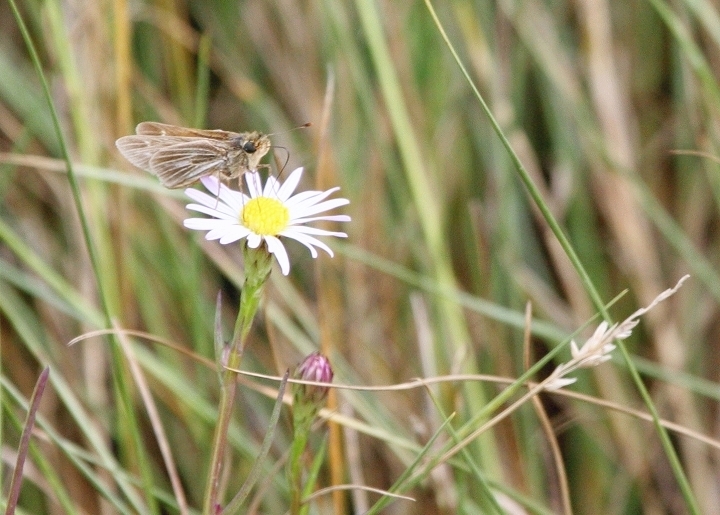 Below: A Salt Marsh Skipper on Small Saltmarsh Aster in lower Dorchester Co., Maryland (9/30/2006). 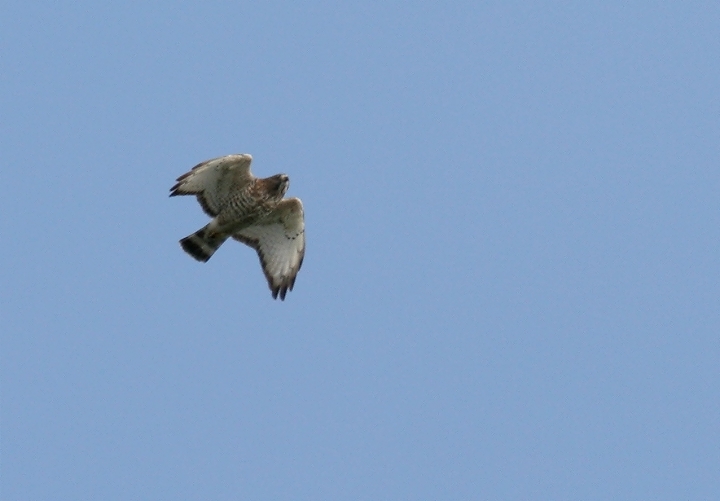 Below: A rare sight on the Eastern Shore - a migrant Broad-winged Hawk. 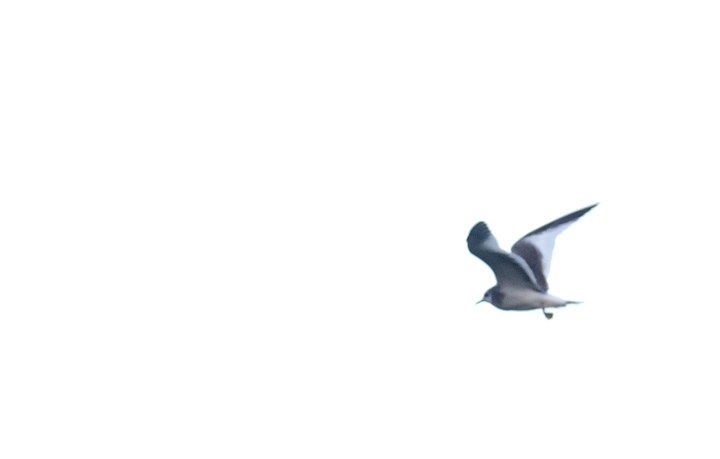 This bird was one of five we observed in lower Dorchester Co., Maryland on 9/30/2006. 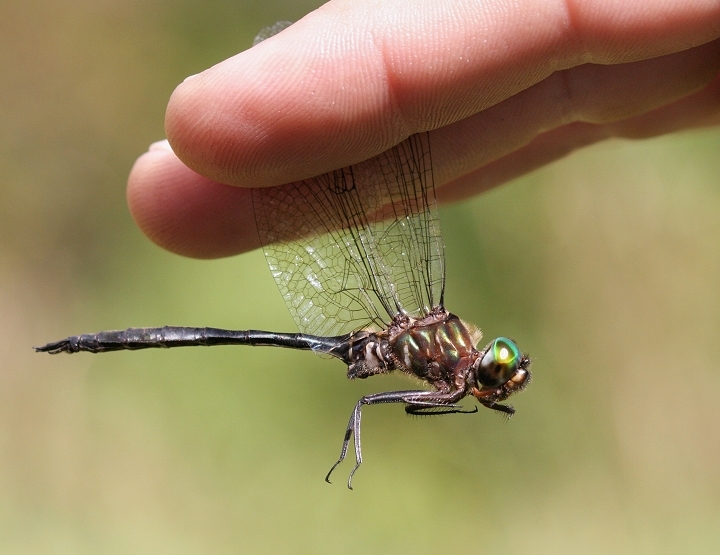 Below: A Fine-lined Emerald in western Wicomico Co., Maryland (10/1/2006). 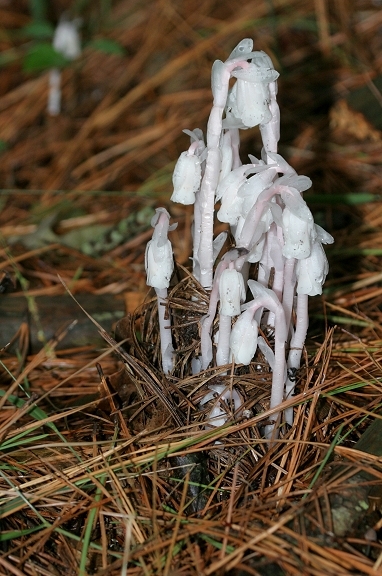 Below: Indian Pipe (Monotropa uniflora) in western Wicomico Co., Maryland (10/1/2006). 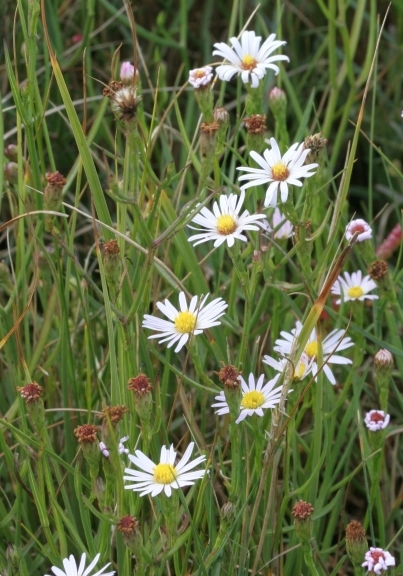 This plant contains no chlorophyll, so it draws energy only from nutrients in the soil. 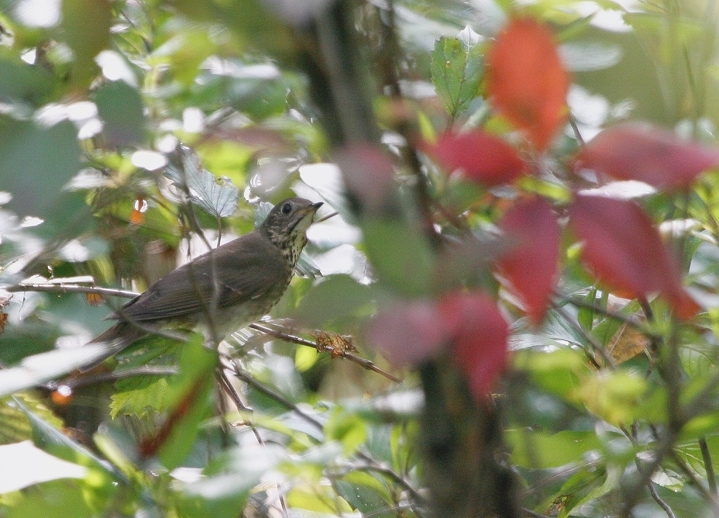 Below: A Gray-cheeked Thrush in Wicomico Co., Maryland (10/1/2006). 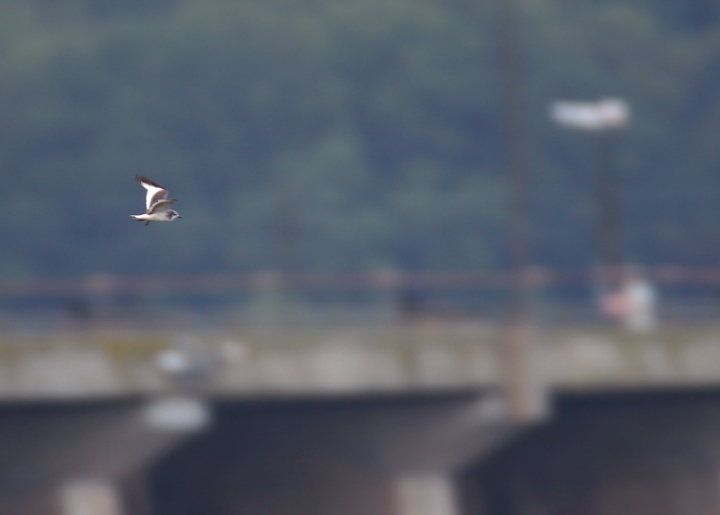 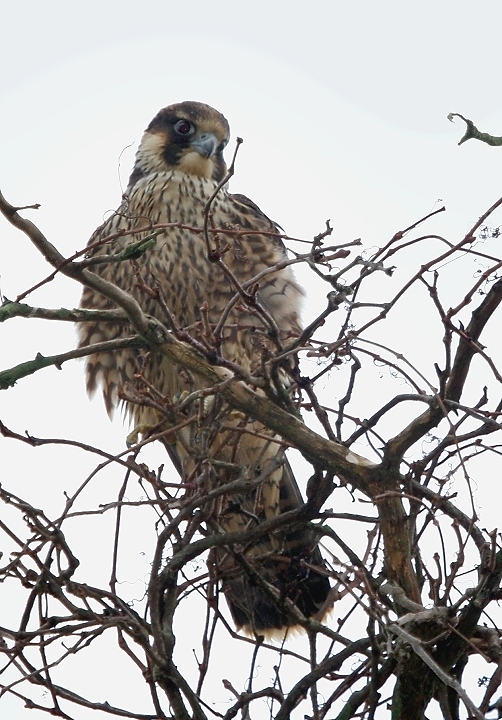 A tough bird to photograph in the state. 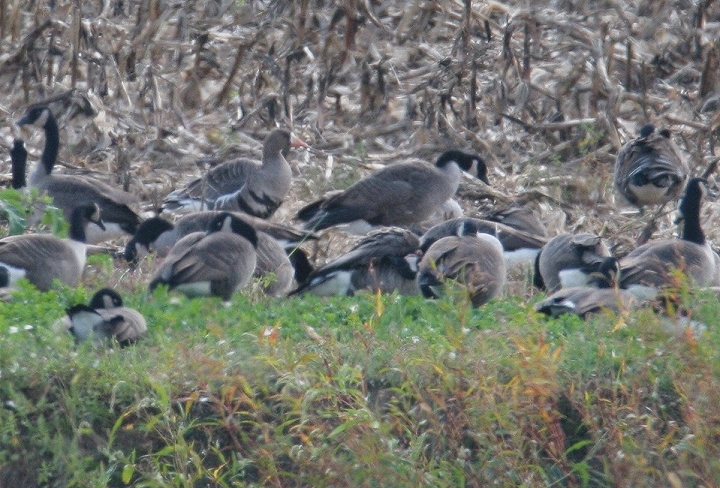 Below: A distant shot of a Greater White-fronted Goose in Kent Co., Maryland (10/1/2006). 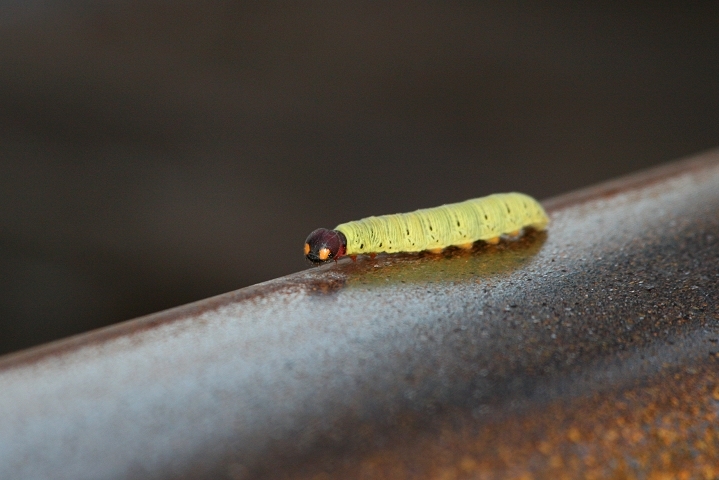 Below: A Silver-sided Skipper caterpillar in Caroline Co., Maryland (9/30/2006). 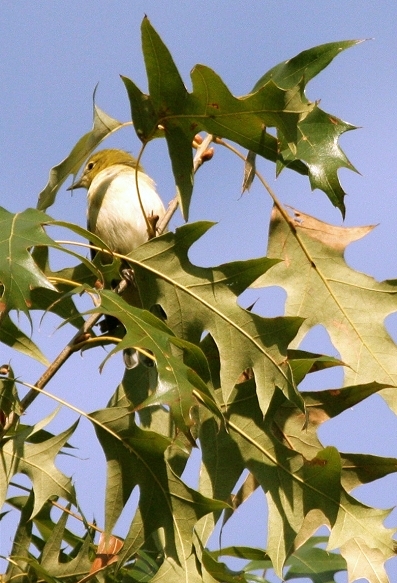 Below: A distant shot of a Bay-breasted Warbler in Dorchester Co., Maryland (9/30/2006). 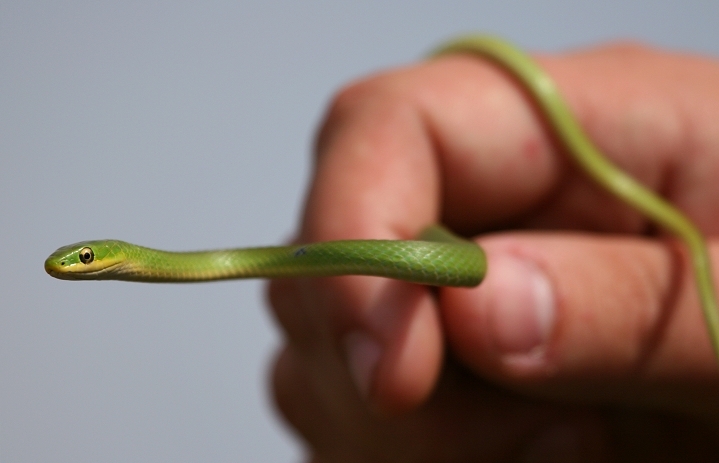 Below: A beautiful Rough Green Snake in lower Dorchester Co., Maryland (9/30/2006). 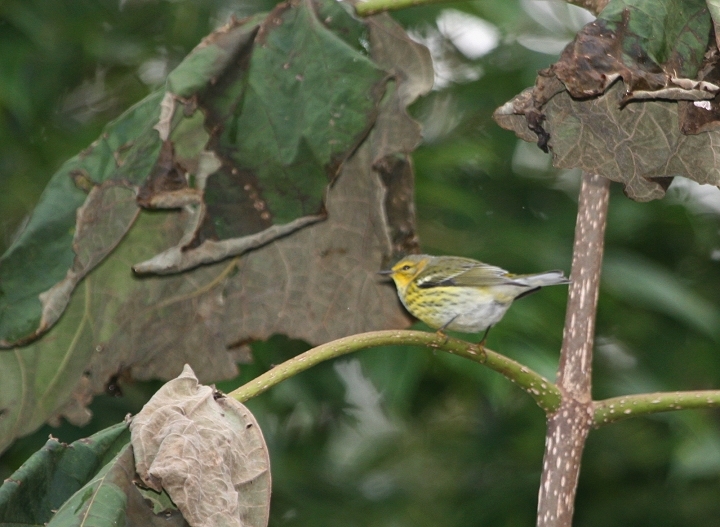 Below: A Cape May Warbler in the drizzling rain in Harford Co., Maryland (10/1/2006). 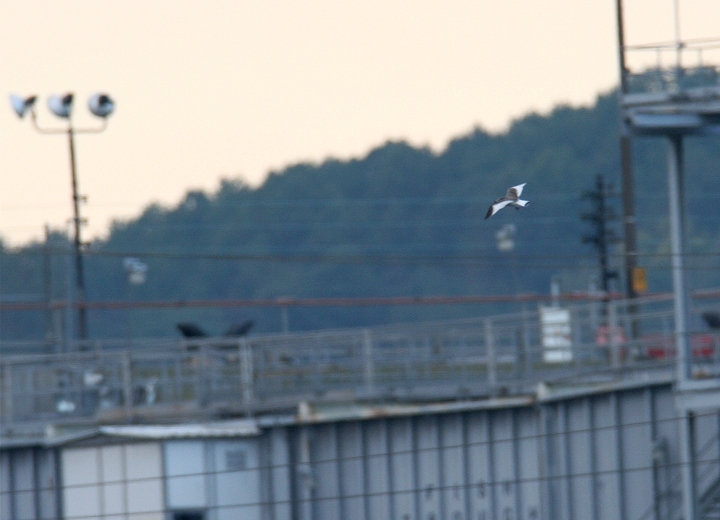 Comments: Many thanks to everyone I ran into this weekend for the great company!